I recently had the opportunity to do a hands-on evaluation with both of these TVs. But before I get to the actual comparison, I will give a run-down of key features for the Q90R. Since I’ve already posted a thorough review of the Q70R, I will not mention its features or stand-alone performance in this review. I will however, speak about its performance on how it compares to the Q90R in the performance section below. Checkout the full QN65Q70R review here. 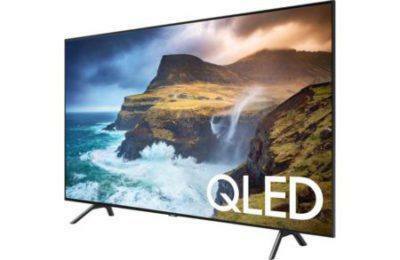 The Q90R’s appearance is sleek and elegant and features a bezel-less design which gives the effect that the entire front panel consists of only the TV’s screen. With that said, the display does have a very thin brushed metal trim (bezel) around the outer edges of the screen which adds to its overall visual appeal. The Q90R’s two-piece pedestal stand mounts to the center of the TV panel and gives the TV decent support. However, I felt the stand design on the Q70R provided a bit more panel stability on these 65” screens. Note: The TVs used for this evaluation were both 65″ models. 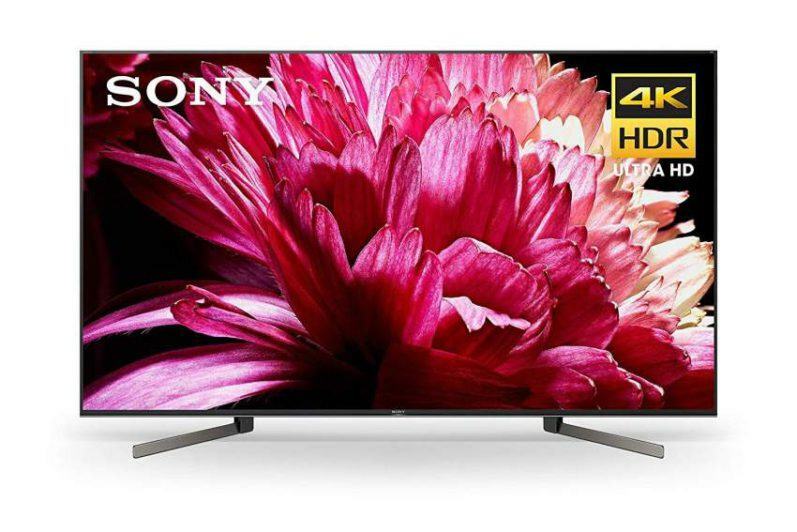 Let me start by saying that both of these displays will make a good choice if you’re searching for a 4K HDR TV with very good to excellent performance. And as noted in the “features” section of this review, these displays have many of the same traits, yet also different offerings with the better features only being available on the Q90R. The Q90R was much more visually transparent; it was like looking through an open window into the outdoors. The Q70R just could not match that level of transparency. The Q90R also produced a better three dimensional image bringing a more life-like appearance to the picture quality. The Q90R delivered a more refined picture image, with a lot more detail and clarity; the image was also much smoother without losing any fine detail and texture of objects that were being displayed on screen. Contrast range on the Q90R was some of the best I’ve ever seen, and I was very impressed at how well it revealed this range – from amazing dynamic peak white highlights (without clipping) and deeply saturated blacks that were not crushed, in addition to very good shadow detail; this type of performance truly brought 4K HDR images to life and were some of the best I’ve seen to date. With that said, the Q70R was definitely no slouch in contrast and black level performance, and was very good in its own right, however it just could not match the sheer capabilities of the flagship Q90R. Black screen uniformity was very good on both TVs, and I did not detect any clouding or backlight leakage. Color reproduction was remarkable on the Q90; colors were extremely rich and vivid, with a very accurate and natural tonal balance which added a great sense realism to its color palette. The Q70 did a very good job with color reproduction as well, and I was very satisfied with its performance; yet again, it just couldn’t compete with the exceptional color rendering of the Q90. One area of performance I found very surprising was how well Samsung’s Wide Angle technology works on the Q90R. When viewing the TV at the widest possible angles, I did not see any loss in contrast, color saturation or brightness. 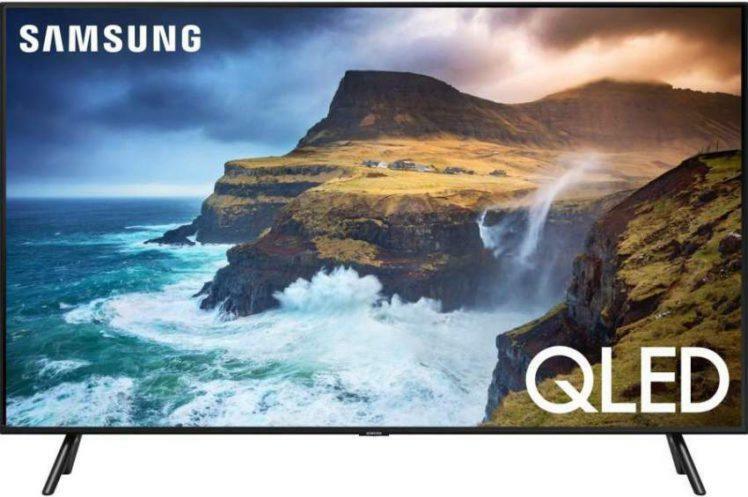 I was very impressed, especially since most LED/LCD TVs suffer picture quality loss at wide viewing angles – which was the case with the Q70R. Motion handling was very good on both TVs, and there were no immediate concerns regarding motion artifacts. Input lag was also very good measuring approximately 14 ms on both displays, which makes them ideal for gaming. The Q90R’s sound quality was much better than the Q70R – thanks to its 60-watt speaker system which contains four main drivers and two bass (sub) drivers. This setup allows the Q90R to produce very good sound for a flat panel TV. The sound output was clear and spacious with nice stereo separation and well defined midrange and high frequencies. Bass output had solid impact which is rare on flat panel designs with built-in speakers. Note: Neither of these TVs offer Dolby Vision HDR support. To sum things up, the Q90R is simply a much better TV than its 70R QLED counterpart. This should come as no surprise since Samsung incorporated its latest and best technology into this display, resulting in a new level of pinnacle performance for an LED/LCD TV. So if money is no object, I would certainly go with the Q90R. 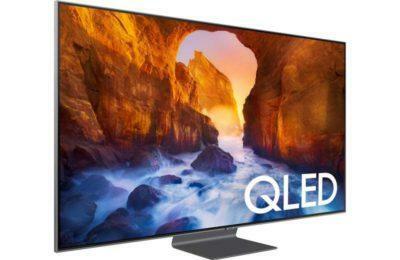 But if you don’t have the financial means, then you should certainly consider choosing the Q70R if you still want a QLED TV that offers very good performance for less money. 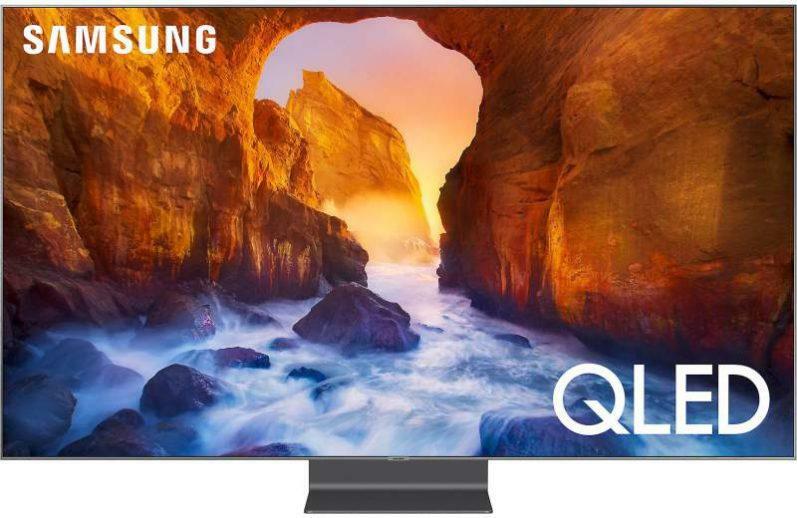 How does the Q90R’s QLED technology compare to OLED? I’ve read other reviews about the Q90R and have seen the claims regarding how this display rivals an OLED TV in picture quality. I must say I had my doubts about this claim until I saw the Q90R with my own eyes. I now have to agree – If I didn’t know any better I would or could have believed I was looking at an OLED TV. That’s just how close the picture quality of the Q90R is to an OLED display when viewing high quality content. I very was impressed. Even though I wasn’t able to compare the Q90R directly to an OLED TV, I will still give the edge to OLED technology for having the best overall picture quality. And I believe this statement would be confirmed if I was able to compare an OLED and QLED TV side-by-side. Have any comments about this post. Please leave them below.